Rhubarb and rose makes for the prettiest drink ever! Can't wait to try this...when we have a little extra time on our hands! Toss everything together in a shaker and dry shake without ice for 15 seconds. Add a small amount of ice and shake for another 30 seconds. You want the shaker nicely chilled but your contents not too diluted and bruised. 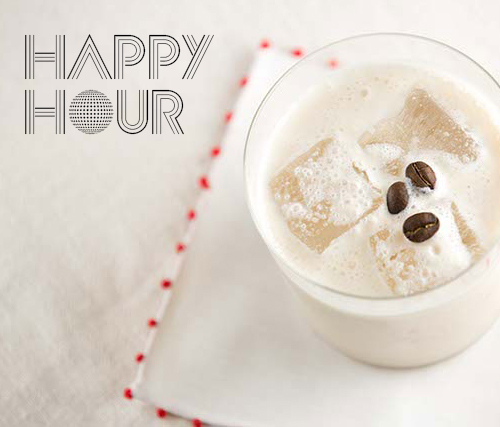 Strain into a small glass and top with some of the remaining egg white foam. Garnish with a skewer of berries, rhubarb jelly and a sprinkle of dehydrated beet powder. Fancy! Throw rhubarb, water and sugar into the bowl and cover with a couple layers of plastic wrap. Fill large pan about half way full of water and set on high heat. Once the water starts to simmer, place the plastic wrapped bowl onto pan and turn heat to medium. The steam from the hot water will start to cook the rhubarb and make it release it's juices. Leave it for about an hour and a half until the rhubarb is soft but not broken down. Once ready, take the bowl off the pan and using a second bowl and chinoise strainer, strain off the liquid. Don't push the solids through, but agitate it enough that all the liquid drains out. When you have most of the liquid separated, set is aside to cool. You can use the left over solid rhubarb for pie filling, compote, jam or ice cream topping! 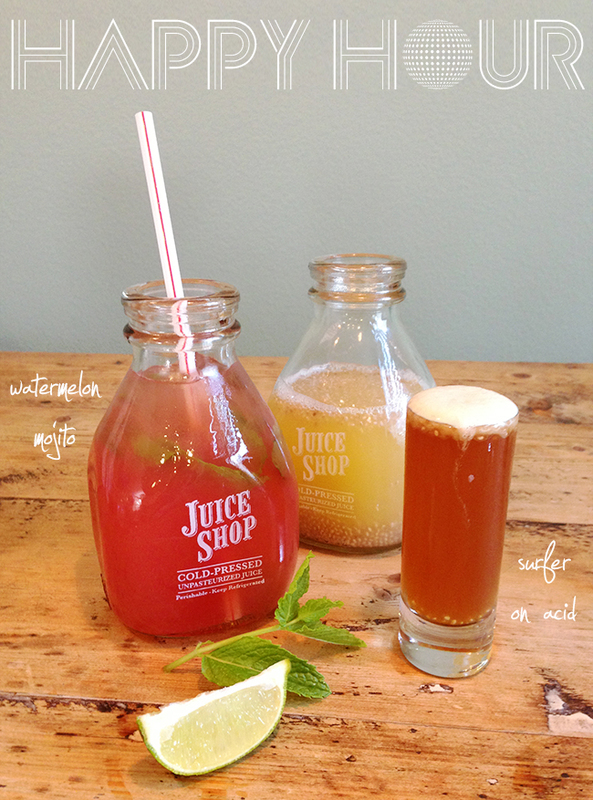 We are obsessed with Juice Shop! Can't think of a better way to celebrate working on a Saturday than by spiking two of their best pressed juices. In a tumbler, muddle the mint leaves with sugar. Pour in watermelon juice, lime juice and rum. Fill the glass with ice and finish off with club soda. Pour ingredients into a shaker over ice until cold. Strain into a large chilled shot glass. Put all ingredients in a large Mason jar and close lid. Shake the jar until ingredients are well mixed. Let bourbon rest and shake once daily for 6 days. 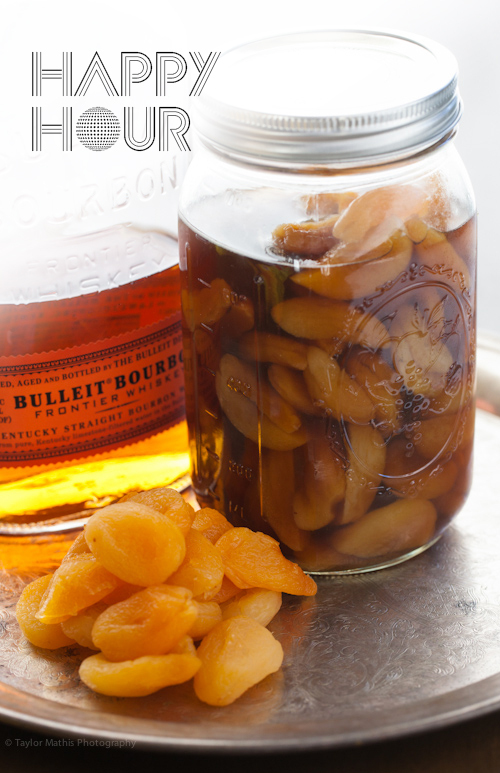 Strain the bourbon, reserving the apricots. Put bourbon back in the jar and close lid. Store the bourbon in a cool dry place. Reserved apricots may be stored in a sealable container in the refrigerator for several weeks. Put a couple scoops of ice cream in each glass. 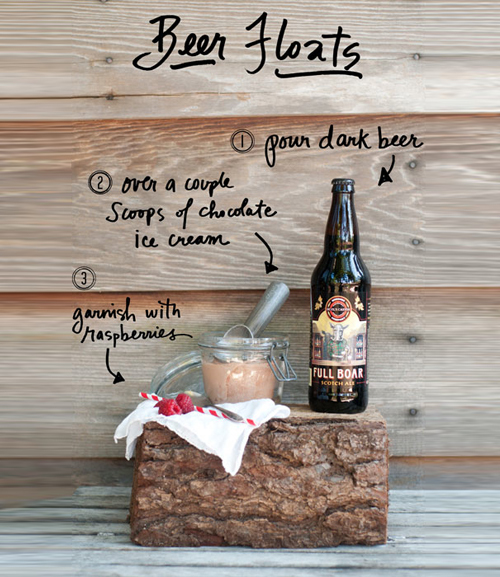 Pour beer over ice cream. 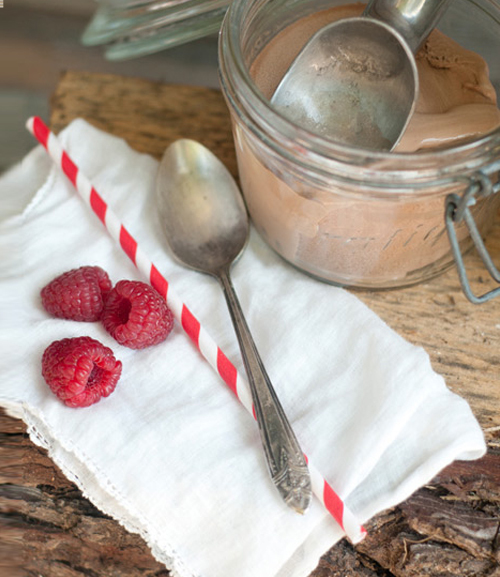 Garnish with fresh raspberries and serve with a spoon and a straw. Breakfast of champs. 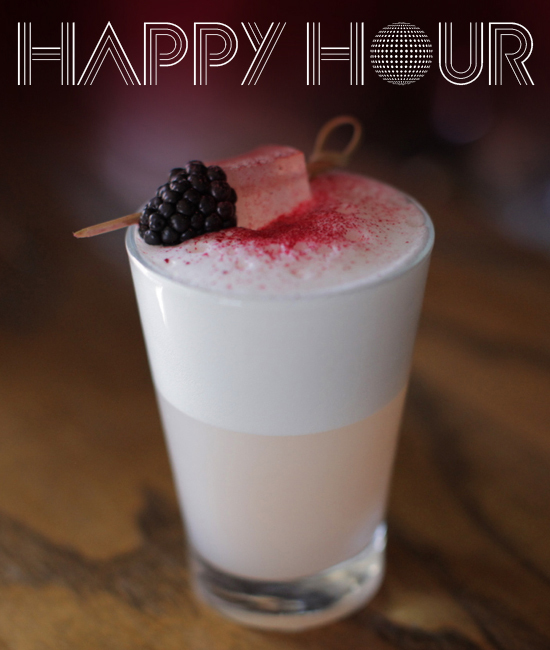 Start your Friday off right with this breakfast inspired cocktail. Fancy. 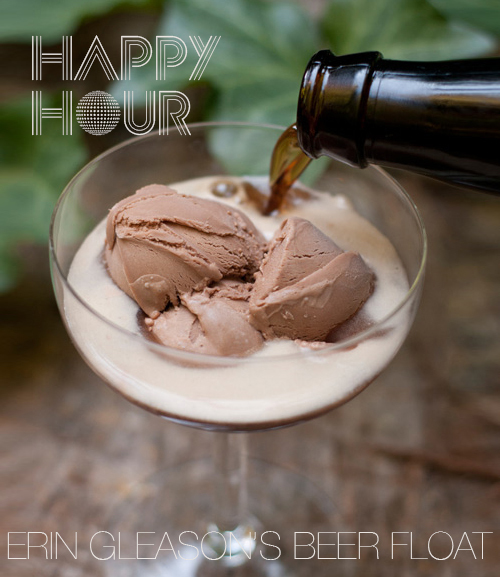 Build over ice in a rocks glass and garnish with beans. Spread the Corn Flakes on a parchment-lined sheet pan. Bake for 15 minutes, until lightly toasted. Cool completely. Transfer the cooled Corn Flakes to a large pitcher. Pour the milk into the pitcher and stir vigorously. Let steep for 20 minutes at room temperature. Whisk the brown sugar and salt into the milk until fully dissolved. Store in a clean pitcher or glass milk jug, refrigerated, for up to 1 week. * Toasting the Corn Flakes before steeping them deepens the flavor of the milk. Taste your cereal milk after you make it. If you want it a little sweeter, don't be shy; add a little more brown sugar. If you want mellower Cereal Milk, add a splash of fresh milk.